Veneer Restoration — Bernacki & Associates, Inc.
Wood veneer is a thin layer of fine wood usually applied over a more common species of wood. This veneer can be applied as a plain layer or as marquetry, an intricate design, picture or decorative pattern. Veneer restoration is one of Bernacki & Associates’ most recognized skills, addressing and resolving advanced to common veneer issues. Adhesive can degrade over time and veneered objects that are exposed to severe temperature or humidity changes will shrink or lift from its foundation. Veneer can also simply chip off due to wear. Additionally, veneers are made from other materials such as ivory, bone, mother-of-pearl, tortoiseshell, stone, brass and various metals. These are some of the various veneers that Bernacki & Associates has accumulated experience. The same area after treatment. The underlying substrate was stabilized. Large areas of cracked and delaminating veneer were re-attached. New veneer in the same wood and grain direction filled in loss areas. 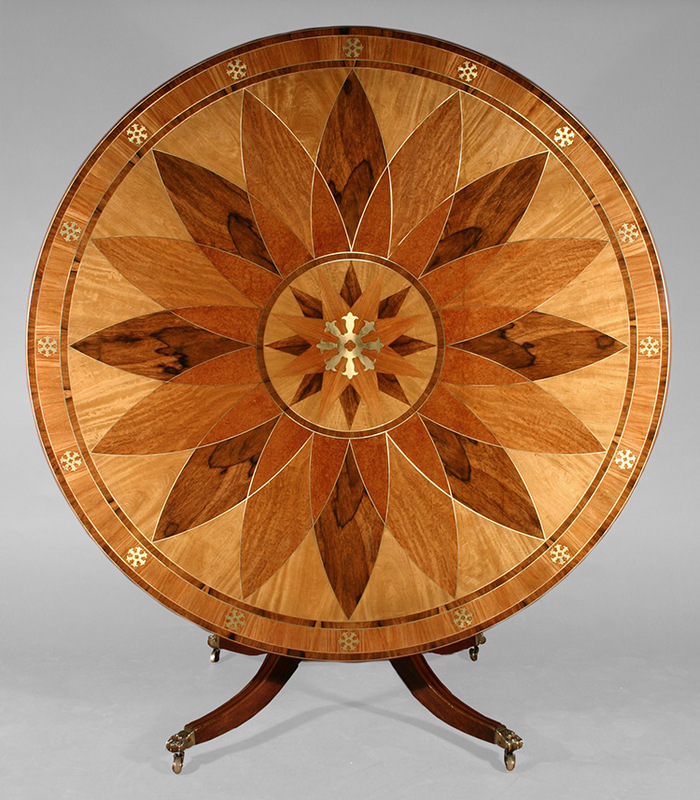 The piece was finished with French polish. 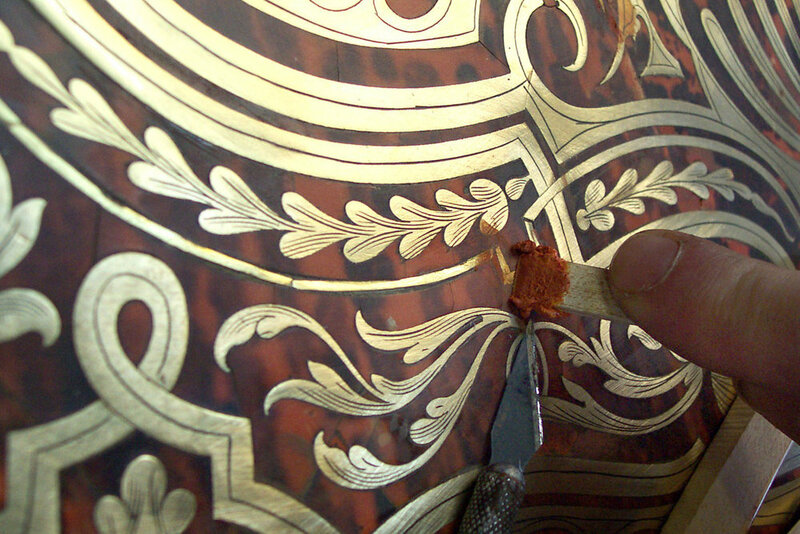 Boulle work is a distinctive form of marquetry decoration making use of metal and other veneers, usually brass and tortoise shell, to form a rich pattern. It takes its name from André-Charles Boulle, ébenisté [contemporary: cabinetmaker] to Louis XIV, who perfected but did not invent a technique known in Italy since the late 17th century.